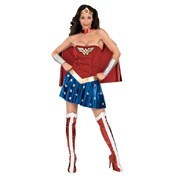 Dress to impress with this amazing range of women’s costumes. Whether you’re heading to a costume party or it’s Halloween season, we have everything you need to make an impact! NO matter what kind of costume you’re after, from something simple to an extravagant gown, we have it all for you in the one place. 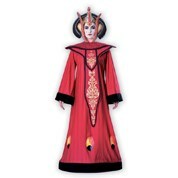 We offer an amazing range of costumes that are sure to make an impression. 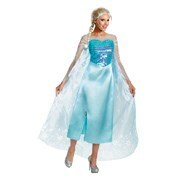 From Disney Princess gowns to Marvel Comics, we have everything you need to make your friends say “wow!”. From Mary Poppins to Harley Quinn; no matter what your favourite movie character is, and no matter what your style or budget is, we have something that is best suited for you! When you shop with MyDeal, you can expect nothing but great quality items at an affordable price. It shouldn’t have to cost you an arm and a leg to be best dressed, and when you shop with MyDeal, it won’t have to. We ship our products across the entire country, so no matter where in Australia that you’re located, we can deliver your items directly to your doorstep. Heaps of our items are eligible for free shipping, so you can sit back and relax, knowing that we are taking care of your every need. Are you still curious about MyDeal, or any of the arts and entertainment products that we have on offer? Please don’t hesitate to give our friendly customer service team a buzz on (03) 9998 6805 during business hours. Alternatively, you can give our help and support articles a read, which aim to solve any questions that you may have. Happy shopping!